The Swiss-based Pillar Project, organised by Twenty Thirty AG, reports that it sold Pillar Tokens worth $12 million in its first hour of sale on Saturday July 15. The sale is live at www.pillarproject.io and the sale closes at 8:00 PM UK time Monday July 17 2017 or when tokens worth $50 million have been sold. “We had over 6,000 participants in the first hour and the feedback is exceptionally positive, with people glad to be part of a movement that will change the world for the better. The average transaction value was $2,000. We welcome the individuals who truly believe in our project as they are most likely to hold on to their tokens and play an active role in the Pillar community. “What’s made our campaign stand out is the strong interest from the wold’s most respected Crypto-vloggers including Jake Brukhman from Coin Fund, Avi Mizrahi from Finance Magnates and Joe (JSnip4) from Realistic News. This is truly a social media-led campaign that has struck a chord with people who want to regain control of their personal data. The new Pillar wallet will hold people’s assets and become their personal digital assistant – a personal dashboard – powering all their devices. The Pillar wallet is run by Pillar tokens that can be used to fund payments around the web. “I’ve been trying to get the personal data locker funded for 20 years, so I’m witnessing the slowest overnight success in the personal identity community. “We now have the chance to invent the world from scratch now, at a time when citizens are suffering from app fatigue and cybercrime is at an all-time high, with no antidotes to infection on the horizon. “We are getting rid of accounts, so you will just have your personal data locker on your phone and all of your assets will be on the Blockchain. You will never need to log in with your credit card. Instead you will just send the tokens that are ‘good to go’ for any services you need. “We will also replace apps with services, managing personal data with a smooth interface. “Crucially, the Pillar token (symbol: PLR) is the meta-token that’s your unit of account. Furthermore, we want to be a hub and are happy to integrate with other identity schemes. For example, an organisation such as the UN could create their own Pillar wallet and use their own ID system and ‘bake it in’. The people behind Twenty Thirty AG’s vision is to secure the funding and in September 2017 set up a Blockchain Innovation Hub in London, which will house a community of open source programmers focussing on the consumer interface experience. 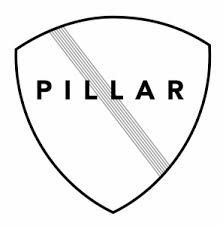 The Pillar project will start as an open-source digital wallet to hold all assets – health records, financial records, money, ownership of things, resumé, and much more. All the ownership will be on various Blockchains, with an individual’s password, replacing numerous accounts. Then, the personal assistant will help find what people are looking for and interact with many digital services automatically. As people travel, buy things, eat, consume media, use services – the personal data locker will pay its way ‘as you go’, without having to log into hundreds of apps. The Pillar system will use its own native utility token, called the pillar (symbol: PLR). The pillar is a meta-token. “The current token sale craze means that tokens are going to be everywhere, used for everything from identity to energy to coffee to golf. “We’re starting with a wallet, but we’re aiming for iOS and Android. Look at your phone – all your apps are miniature desktop apps that trap your data and keep your credit-card number on their servers. The apps don’t talk to each other, so when you want to do something, you end up using several apps. “The Pillar system has no apps. It uses tokens, smart contracts, and a growing ecosystem of online services that let you pull the information you want, find what you’re looking for, buy what you need, manage the ownership, and interact with hundreds of other systems easily. We will be the ‘easy button’ and it will be on the handset in 10 years. “Because the personal data is decentralised and stored in secure Blockchains, it is of little interest to hackers, providing high-level security. We want to provide solutions to people that are magically easy to use. Our job is to communicate, to understand the customer and get over many of the user experience and brand hurdles. We will build the core system and it will be open source and we will partnership with many others. We will not be ‘tech-first’, we will be ‘people first’. The Pillar Token Sale hopes to raise $50 million to build an open-source personal-data ecosystem. After a successful Token Sale, the team will set up the UK’s first Blockchain-only innovation centre in London.